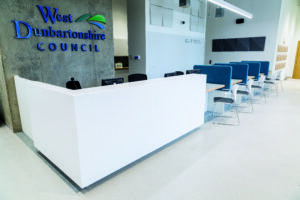 The refurbishment of the former Dumbarton Academy building into council offices provided 500 West Dunbartonshire Council staff with an exciting and contemporary office space located in the town centre. 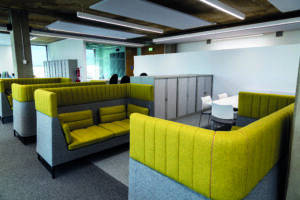 The new facility includes a public service desk area with multi-use civic space, training and meeting rooms and a large, open-plan canteen area. 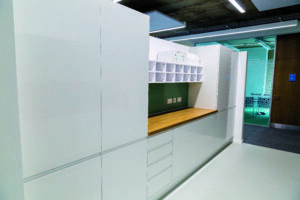 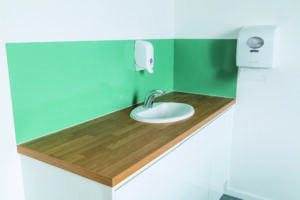 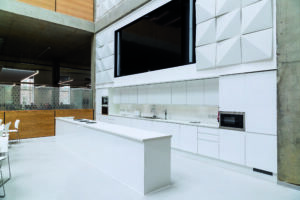 WorkSpace supplied and installed an FF&E package including Corian® reception desks in Glacier White, staff kitchen tea points with Hydrotaps, window blinds, and a mixture of base and wall units across various use areas within the building.